Jen is being our “Head Elf”. She will assign an Elf (volunteer) to every child and the elf then gathers gifts up to the value of £15 and sends them in December. 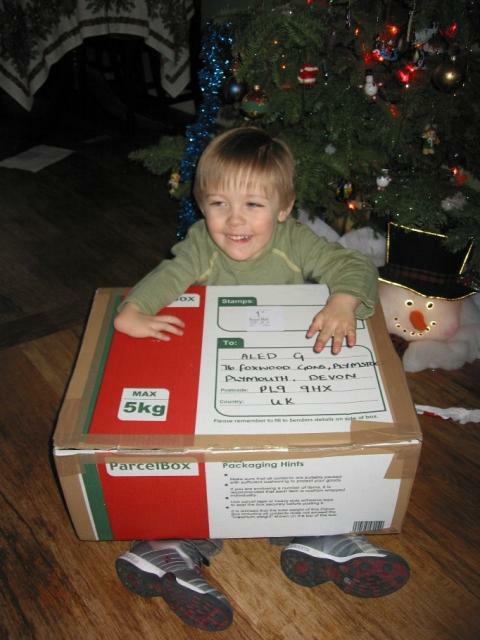 It is a little like the Christmas shoe box appeals we are all familiar with. Anyone of any age can be an elf, whether it’s little children picking gifts which they think someone their age would like, or adults who now have a good excuse to buy that pink fluffy present! We like to assign 2 Elves to every child as in the past people have committed to being an Elf but then not sent anything (or let us know they couldn’t continue) so that means we have 240 volunteers to find! If you would like to volunteer to be an Elf please send an email to Jen at postpalsmonthlyprojects@hotmail.co.uk and include how many children you would like to be an Elf too, and any requirements i.e. a young girl. We have a particular problem finding volunteers for teenage boys so if you would be happy to take one on please let Jen know. New Website is Now Fully Working! The website is now fully working! * Advanced searches on the “Find Pals” page e.g. try “Peppa”, “Fire Engine” etc. * Hover over a siblings name on a “Pals Page” and see their photo (if supplied). * Use the links to go straight to our “Twitter”, “Facebook” and “Blog” pages. Please spread the word on the new website by the recommending the site to your friends. If they spread the word the amount of posters and postees will soon grow. Are you “friends” with a celebrity? Post the message about the site on their page they often have 1000’s of “friends” reading their site. Thanks for supporting Post Pals! 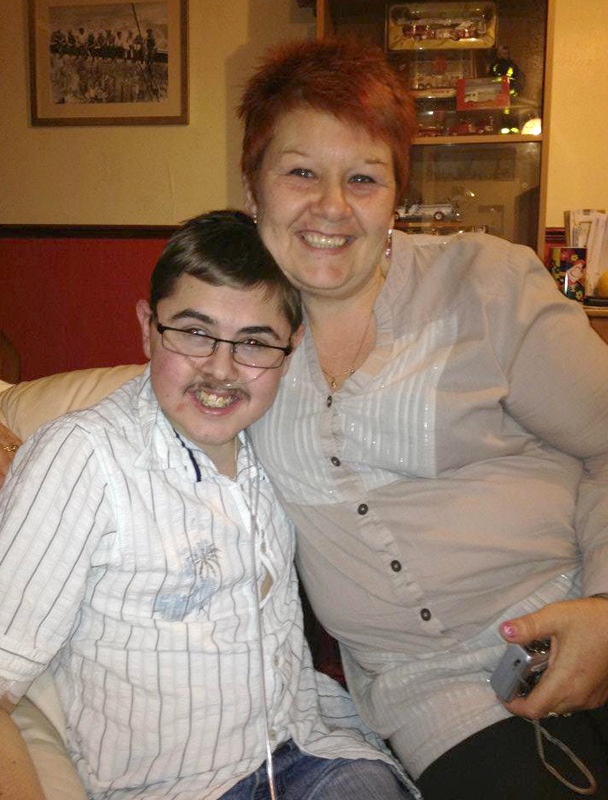 We are very sad to say that last night Jon Paul passed away after not getting his transplant in time. During his last year he spent most of his time in hospital but that never stopped him thinking of others, sending families messages reminding them of his motto encouraging them to remain positive and fundraising for Post Pals and the CF Trust. The week before he passed away he was able to leave hospital for a few days to celebrate his 21st birthday with his friends and family. Here is Jon Paul, who always remained ‘positive and not negative’. 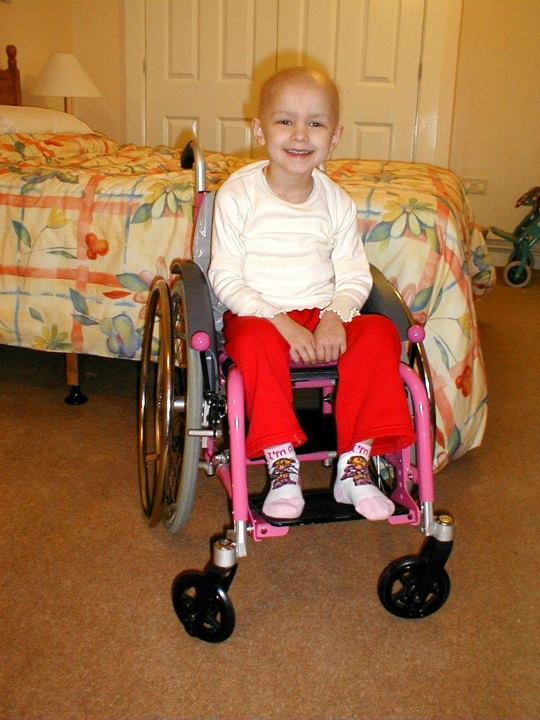 Lots of people ask me about the little girl in the ball pool who stars on our leaflets, posters and Facebook. Her name is Nicole and she was our first girl to join Post Pals. Nicole had a large cancerous tumour wrapped around her spine. She had surgery, then developed complications and was rushed back to theatre, but sadly it was too late to save her ability to walk and Nicole was left paralysed. On top of this she underwent the maximum amount of chemotherapy followed by radiotherapy that could be given to a child of her age. The tumour was still present so they started the very anxious ‘wait and see’. 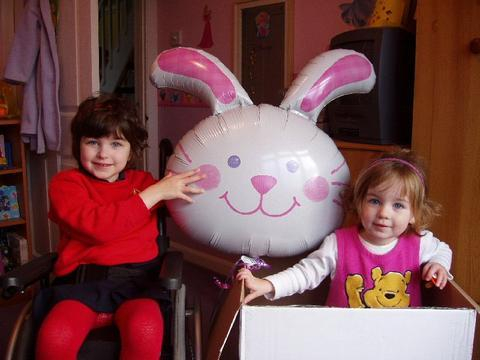 Lots of post was sent to Nicole to make her smile including this balloon one day – her little sister Lauren is in the box. 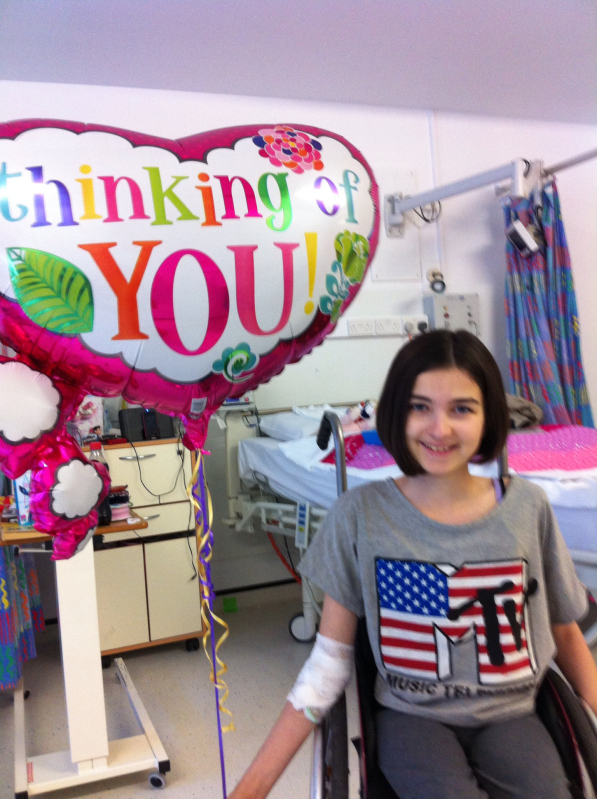 I’m very pleased to say Nicole is now 13 and she is cancer free. However, she is currently in hospital following spinal surgery so we sent her another balloon. 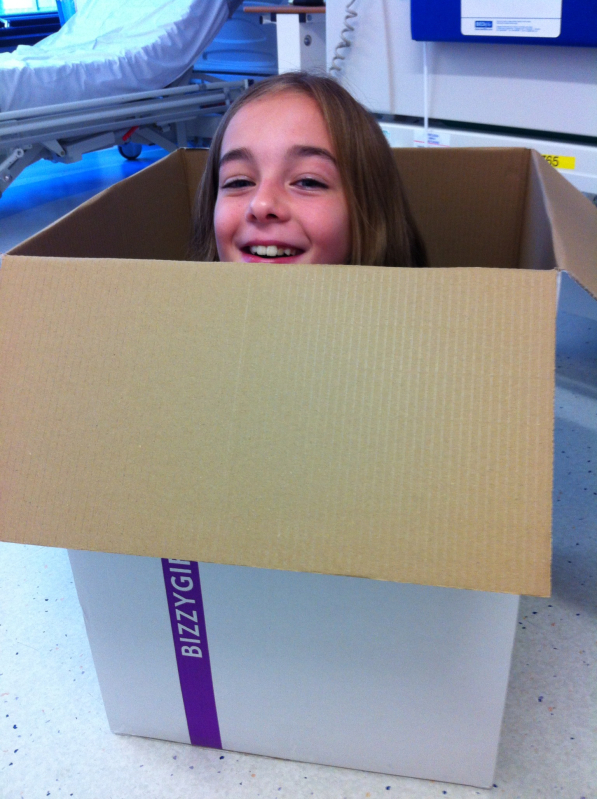 And it turns out Lauren can still fit in the box!! !